Age-related macular degeneration is the leading cause of blindness in the Western world. 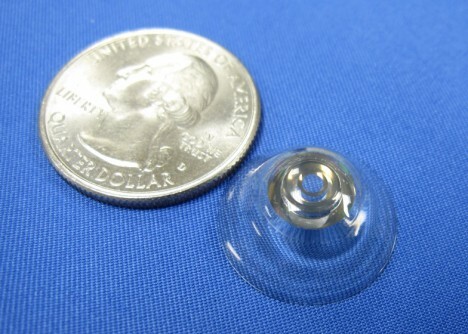 But help is on the way in the form of telescoping contact lenses that act like tiny, low-magnification binoculars. A team including researchers from École Polytechnique Fédérale de Lausanne, the University of California San Diego, and several other institutions have been working on the project for several years with financial backing from DARPA. The lenses can work on their own, but they are made better with a pair of complementary glasses which respond to winks to switch between regular and magnified vision. 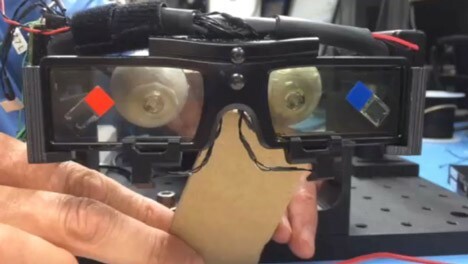 The glasses ignore blinking, but wink with your right eye and the magnification function switches on. Wink with your left eye and the lenses switch back to normal vision. The contacts are made from carefully shaped layers of plastics, aluminum mirrors, and polarizing thin films, all held together with biologically safe glues. 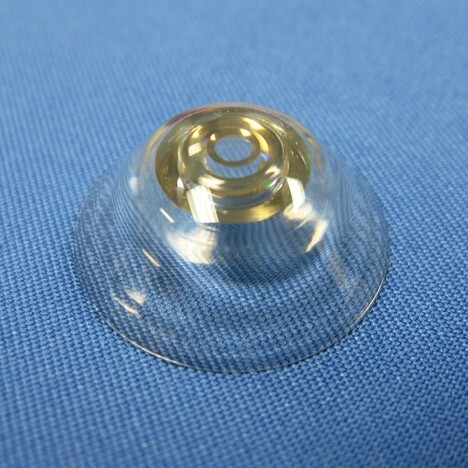 Unlike the soft lenses many people wear, the telescoping contact lenses are larger and more rigid to accommodate the telescoping mechanism. One of the most challenging aspects of developing this technology has been making the lenses breathable so they can be worn for extended periods. There are plenty of areas in which improvements need to be made before the lenses can be used in any practical capacity. 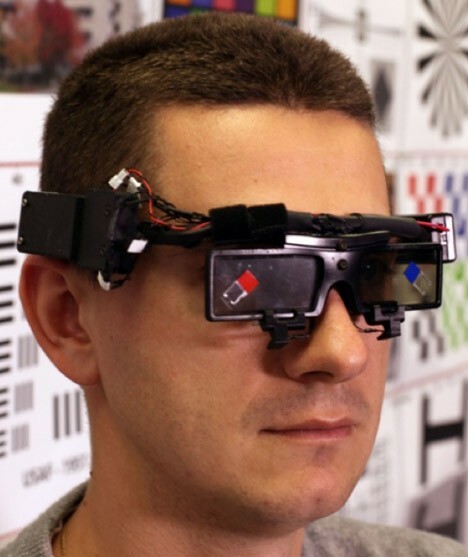 But the current iteration is a promising start toward technology that can benefit the visually impaired and even help soldiers stay sharp and aware on the frontlines. See more in Cybernetics or under Technology. February, 2015.